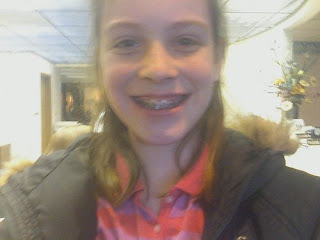 Wad's World: Leslee Got Braces! She will probably kill me for putting this picture on here! She has been wanting and needing them for a long time. The doctor said that she will only need to have them on for about a year and a half. 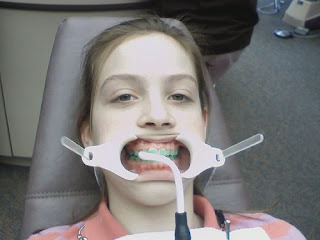 Braces are so worth it. The awesome smile at the end is great. No more candy and gum and sticky stuff for Les!